In The Qualified Student Harold S. Wechsler focuses on methods of student selection used by institutions of higher education in the United States. More specifically, he discusses the way that college and university reformers employed those methods to introduce higher education into a broader cross-section of America, by extending access to an increased number of students from nontraditional backgrounds. Implicit in much of this book is an underlying social and ethical question: How legitimate was and is higher education's regulation of social mobility? Public concern over colleges' and universities' practices became inevitable once they became regulators between social classes. The challenging of colleges' admissions policies in the courts augments similar concerns that have been present in legislatures for decades. The volume is divided into three main sections: Prerequisites, Columbia and the Selective Function, and Implications. It focuses mainly on four universities, The University of Michigan, Columbia University, the University of Chicago, and the City University of New York. Wechsler maintains that unlike other universities, these institutions were pacesetters; they did not adopt a new policy simply because some other college had already adopted it. 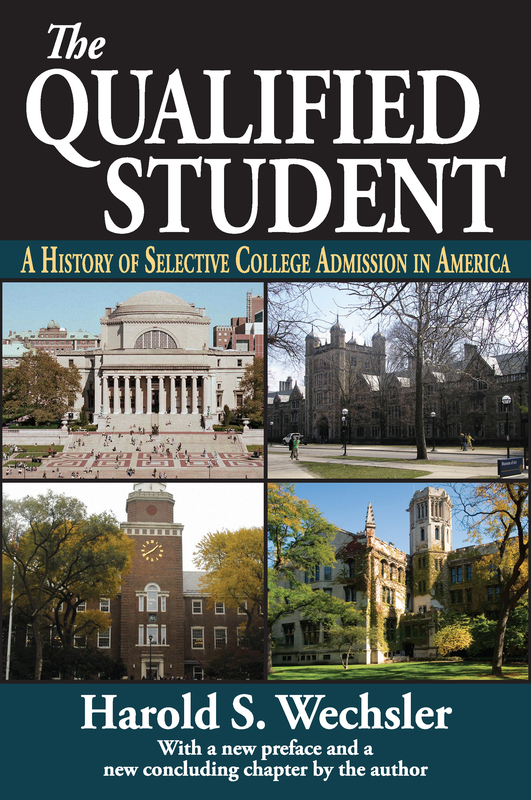 A new introduction brings the book, originally published in 1977, up to date and demonstrates its continuing importance in today's academic world of selective admissions.